The reality of competing in powerlifting is,that at some point in time, we all have to make weight. Making weight can make or break your lifting performance. For optimal performance a lifter should be at the very top of their respective weight division. If you compete at the lower end of a weight class, you are usually at a disadvantage compared to your heavier competitors. As a twelve-year veteran of powerlifting, I have had to make weight in all but two of my competitions. Making weight usually means that you’re on the borderline of one weight class’s limits and on the lower end of the heavier class. If this is the case, it pays to drop the last few extra pounds and fit into the lighter weight class where your total will likely be more competitive. For those that are in the middle of a certain weight class (i.e., a 260-pound male who is in between the 242 and 275 weight classes), making weight really does not apply to you. These folks can simply lift at their current body weight and eventually grow into a full 275 pounds. Most of us find ourselves in the previous situation where we have trained at a slightly heavier body weight during our training cycle to hopefully take advantage of some added strength. In the last few weeks we then have to lose a few pounds to fit into our weight class. The question remains, how do we lose those last few pounds and not lose any strength? If there was only one way to make weight, we would all be doing it. Conversely, there are right ways to make weight and there are wrong ways to go about it. Before I explain how to make weight easily, without adversely affecting your performance, I’ll share with you the wrong way. At 25 years old, with two years of competitive experience under my belt, I thought I knew all there was to know about making weight. I followed the practice of losing weight gradually over the course of the training cycle so I wouldn’t be in shock when the competition came around and I had additional weight to lose. On July 1, 1997, I was competing in my first national powerlifting championship at the USPF Seniors in Philadelphia, PA. I was planning on lifting in the 198-pound (90kg) class. I had been training at a body weight of about 205 pounds and was making good strength gains. I started losing the weight early and when I left for Philadelphia the day before the meet I was 198 pounds right on the nose. Perfect. Or so I thought. When I arrived at the meet site, I checked in and immediately found the meet scale so I could check my weight. I was scheduled to weigh in the next morning. I undressed, hopped on the scale, and much to my dismay it read 202 pounds. I thought to myself, this can’t be right. I weighed 198 right before I left and didn’t eat or drink anything on the drive up from Maryland. I got off the scale and got back on and sure enough, 202 was the number. I panicked. I was four pounds over with less than a day to lose it. To make a long story short, until weigh-ins, I didn’t eat anything except lettuce. I sipped distilled water. I took not one, but two enemas. I’ll spare you the details and won’t even explain how that went. Use your imagination and I’m sure you can come up with some gruesome yet hilarious images in your mind. And to top it all off, I sat in a sauna off and on for approximately two hours the next morning. Correction – I did pushups and jumping jacks in the sauna. What can I say? I was grasping at straws. I finally made weight and I don’t even need to tell you how I performed. Simply stated, I had the single worst athletic performance of my life. I went 4/9 and had the rare opportunity to experience full body cramps where my training partners were literally standing on me trying to keep me from curling into the fetal position. It goes without saying that this is an example of making weight the wrong way. I learned many valuable lessons that weekend and decided it was time to educate myself on the basic physiology of making weight for competitions. I knew there had to be an easier, safer, and more effective way to lose a few pounds without suffering decrements in performance. I began to learn basic hydration principles and came to understand the importance and influence of sufficient water in the body. I spoke with more experienced lifters, I read everything I could get my hands on, and even experimented with different methods on myself. Today I have developed an easy-to-understand and effective system of making weight without adversely affecting performance. I have used this protocol with myself, as well as many local, state, national, and elite level lifters. When followed correctly, it works like a charm. Frankly, it’s not rocket science and I’m certainly no genius. All you need is a basic understanding of some nutritional and physiology principles. Take that knowledge and couple it with some self-discipline and you have a very safe and effective way of making weight without having to kill yourself like I did. If you don’t learn from your own mistakes, at least take the time to learn from mine. Before beginning the discussion of making weight, one must recognize and understand appropriate times for weight loss. 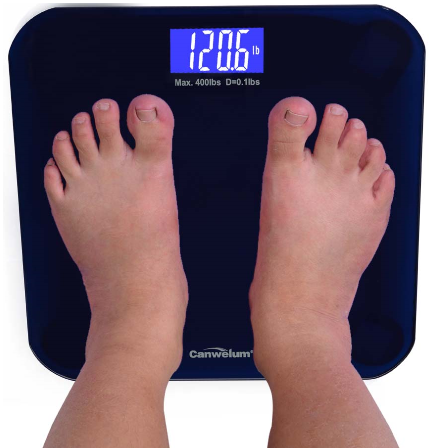 Unless a young athlete is clinically obese, it is never appropriate for them to lose weight. Famed Russian powerlifting coach Boris Sheiko admonishes that weight loss for young athletes has negative effects on one’s overall health including disturbances in the activity of the endocrine glands and the cardiovascular system. This translates to impaired physical development in athletes, who are not finished growing, as well as the intrusion of poor performance and results. Dave Tate of EliteFTS takes it a step further to explain that, the last thing a beginner needs to worry about is making a weight class. They need to focus on getting stronger. I agree wholeheartedly. If you’re a novice, just lift – focus on your technique and getting stronger. Then hit some PRs. Alas, there are two sides to every coin. Those that need to concern themselves with making weight are fully grown and experienced lifters. Even then, unless you plan on totaling elite, breaking a record, or competing at the highest levels, what’s the point of losing weight? Another consideration is understanding the difference between – when it’s appropriate to lose the extra weight and when it’s time to move up into the higher weight class. A good rule of thumb to use is if you’re continually having to lose more than 5% of your weight class limit, it might be time to move up to the next weight class. For example, if a female lifter who is desirous of lifting in the 165-pound class is often having to lose more than 8 pounds (165 x .05 = 8), perhaps your body is telling you it’s time to move up to the 181-pound class. Sometimes this is not necessarily the case as a lifter really just needs to clean up their nutritional plan and lose some excess body fat. The fact is, that over time, powerlifting makes us all bigger, thicker, and more muscular. It is extremely rare to see a lifter compete in the same weight class for their entire career. By the same token, maturing into a heavier weight category often takes time. As your body weight increases your leverages change. Increased body weight is usually favorable in both the squat and the bench press. However, the added weight often inhibits or slows progress in the deadlift. Leaner competitors that carry a low body fat percentage will find it more difficult to keep making weight. I used to train with an elite 114-pound lifter who was extremely lean. His body fat was so low that when he did cut weight for competition he lost muscle. This severely hampered his performance and he eventually moved up to the 123s where he is happier and stronger. Additional articles, featuring varying methods on making weight, have recently been presented. Many advocate losing the weight as fast as possible and then putting it back on in the same fashion. This makes sense if you have a weigh-in that is 24-48 hours in advance. Some powerlifting federations allow early weigh-ins like these. With an early weigh-in, the most popular school of thought is to train at a heavier body weight and then lose the excess weight as fast as possible often employing drastic means like diuretics, dehydration, fasting, hot baths, and sauna. This ensures that the body is at the lower body weight for as short a time as possible. Immediately after weighing in, the buffet begins. Rehydration and massive eating resume in an effort to put back the weight back on as quickly as possible. If you can make it all the way back to your original weight, you’re usually going to be in good shape. This method may be sufficient for early weigh-ins but for the sake of this discussion we will focus on making weight for the two-hour weigh-in. Understanding your body’s response to water is the most critical aspect of making weight. The human body acts like a sponge. If you only consume small amounts of water, it’s like taking a few drops of water and pouring it into a small sponge. What happens? The sponge absorbs the water and holds onto it. The opposite is true when you drink large amounts of water. Now imagine taking that same small sponge and pouring a gallon of water into it. What happens now? The sponge first absorbs the water then it overflows and pushes out the excess. Your body functions much the same way. This is where people make horrible mistakes with making weight. Most lifters think they need to stop drinking early. On the surface this seems like a practical solution but the process is flawed. When you cease water intake, your body responds by saying, Whoa! I’m not getting enough fluids so I better hold onto whatever little bit I’m getting. That’s what makes you feel bloated. When you’re bloated, you’re actually dehydrated from a lack of fluid intake. Conversely, when you’re fully hydrated you feel normal, leaner, and not as puffy and swollen because now there’s a constant flow of fluid intake followed by excretion. Most lifters make the mistake of stopping their water intake way too soon. I can’t count how many times I’ve gone to national and world championships only to see elite lifters walking around like zombies because they’ve stopped drinking water. Science tells us that dehydration symptoms become noticeable after a mere 2% of one’s normal water volume has been lost. (1) Thirst, decreased urine volume, urine that is darker than usual, fatigue, headache, dry mouth, dizziness, loss of appetite, and hypotension (decreased blood pressure) are all classic symptoms of mild dehydration. Most important, athletes (powerlifters), can suffer a loss in performance up to 30% and experience flushing, low endurance, cramping, rapid heart rates, elevated body temperature, and the rapid onset of fatigue. (1) Additional water loss such as sweating causes these symptoms to become more severe. Obviously there are no advantages to being dehydrated. It is rare for a powerlifter to heed the recommendations of a bodybuilder. Nevertheless this is one of those infrequent times when powerlifters should learn from bodybuilders. When a bodybuilder steps on stage, they are at their leanest and most vascular. What the casual onlooker doesn’t realize, is that while they might look like the epitome of a human anatomy chart, they are actually in their most depleted state. They are malnourished (in a caloric deficit), often dehydrated, small, and at their weakest. It is commonplace for bodybuilders to cramp while posing. While this transient state of exhaustion may be the perfect recipe for displaying muscular proportion, it is the worst possible scenario for optimal physical performance. Accordingly, powerlifters (and all strength athletes) should be at their biggest, most hydrated, and completely nourished state when they step onto the lifting platform. Nobody cares if your posterior deltoid is in proportion to the development of your latissimus dorsi. The only thing your competitor is concerned with is how much weight you lift. Making weight usually comes down to understanding body water and managing your water intake. A large portion of the human body is water. Blood is 83% water. Lean muscle tissue contains about 75% water. Body fat contains 25% water and bone is roughly 22% water. In males approximately 55% of the body’s mass is water. In women the value is about 51% due to a higher proportion of body fat. (2) I mention these statistics to illustrate how abundant and important water is to the human body. Simply stated, water is the single most important nutrient in the body. It helps regulate nearly every bodily function from digestion to brain function to maintaining healthy skin. Death due to dehydration can occur in three days (or less in hot weather) and no one normally lives more than five to six days without water. To further illustrate how vital water is, we need not look any further than a former political and spiritual leader of India, Mahatma Gandhi. On several occasions Gandhi led nonviolent protests that included fasting. He once went twenty-four consecutive days without food. However, these prolonged demonstrations would not have lasted without water. Most research states that healthy males should consume approximately three liters of water daily and females should consume 2.2 liters daily. I’ve always strived for more than a gallon daily and there=s really no research behind that. It’s just what works for me. With every nutritionist I’ve spoken to, the same sentiments have resonated repeatedly. The more water you drink, the better off you’ll be, the better you’ll feel, and the better you’ll perform. That’s enough incentive for me. The effort it would take, to drink the amount of water required, to induce death by water intoxication and hyponatremia (electrolyte disturbance) is monumental. Most deaths from water intoxication occur as a result of complications from other medical conditions, water drinking contests, and long bouts of intensive exercise in extreme heat during which time electrolytes are not properly replenished. The first step to making weight without impairing performance is to begin charting your weight in the evenings immediately prior to bedtime. Record the number, go to sleep, wake up, urinate if you have to, get weighed again, and record the new number. Do this for one week and average the amount of weight you lose overnight. This is how much play you’ll have come meet time. Always use the same scale. That way even if it’s wrong, it’s consistently wrong and you still know how much weight you’ve lost or gained. After you establish your overnight weight loss, continue to weigh on Saturday mornings only. Body weight can fluctuate from day to day. Think of it in this light, but one gallon of water weighs eight pounds. So hypothetically speaking, if you drank one gallon of water, did not urinate nor lose water by sweating, and then stepped on a scale, you would be eight pounds heavy. Sodium rich foods can cause tremendous water retention so don’t worry yourself with daily fluctuations. I also recommend Saturday morning because most of us compete on Saturday and you want to try to create the exact same situation as you’ll experience on contest day. Furthermore, if you get weighed with underwear on, wear them every time. Do not get weighed in jeans one Saturday and without clothing the next. You’ll never be able to establish any kind of accurate account of your weight. If you have approximately 5% of your body weight to lose, start early. When you begin to plan for your next competition look at the calendar and consider how many weeks of training you’ll need to adequately prepare. By beginning the weight loss process early, it will be more gradual and less of a shock to the system than last-minute weight loss which can wreak havoc on your body and create all of the aforementioned negative symptoms that adversely affect your performance. Gradual weight loss rarely affects strength in a negative way whereas abrupt weight loss is almost always accompanied by strength loss. Another advantage to gradual weight loss over the course of the training cycle (one pound per week is best) is you will know exactly how your gear will fit on meet day. If you’re heavy early on and procrastinate until meet week to begin losing the extra weight, your gear can often feel loose at the meet. There is nothing worse than starting warm-ups for the squat and pulling your squat suit on to find that it fits like a pair of baggy jeans. As I usually compete in either the 220 (100kg) or 242 (110kg) weight class, I prefer to start losing weight early on in the training cycle so when meet week arrives I’m within three to four pounds of my weight class limit. If that’s the case, I can eat lots of clean calories the last week to fuel my body for optimal performance. We should all be drinking at least one gallon of water daily. This is even more important during our training cycle because of the exertion on the body. And if you sweat a lot like I do, you need to replace what’s lost. Most of the literature on water intake advises us to count food, juices, sodas, teas, coffee, and other beverages toward our total daily water intake. I prefer to only count the actual water that I drink. Some beverages contain caffeine which has a very mild diuretic affect. Not to mention, who has the time to add all that up? I’d like to meet the person who knows how much water is in my steak, sweet potatoes, and broccoli. I have no clue nor the inclination to waste my time calculating water content in food. That way, at day’s end, I know that I actually drank a gallon of plain water. There are very specific nutritional guidelines to follow during meet week. Avoid breads, crackers, any products made with dough or flour, and dairy products like cottage cheese, yogurt, and cheese. While some whole wheat, flax, and grain breads are a good source of complex carbohydrates, flour makes your body retain water. Dairy products create the same effect. Water retention and bloat is not something you want until after weigh-ins. Your carbohydrates should come predominantly from oatmeal, sweet potatoes, and truckloads of fibrous vegetables. Asparagus, broccoli, leafy greens, and spinach will all help keep things moving. Avoid white potatoes, rice, and pasta during the last week. Protein should come from whey protein powder, egg whites, chicken, lean turkey, lean beef like flank steak or round, and white fish. Include fats like almonds, walnuts, olive oil, and fish oils. You can still eat a lot of calories to fuel your body. They just have to be clean. On the Monday of meet week, increase your daily water intake from one to two gallons. Be absolutely sure you get two gallons down every day of meet week. This will ensure adequate hydration and additional fluid excretion. Urination will increase as will overnight weight loss. If you are flying to your competition, this adds another variable to the equation. Flying and the subsequent changes in air pressure and altitude have a dehydrating effect on the body. It makes your body retain more water than usual. This is why lifters who cut out their water pre-flight have so much trouble making weight after landing. They arrive and because they haven=t had any water, their bodies immediately start to hold onto everything. This makes weight loss extremely difficult, especially on overseas flights. It can take up to 24 hours for your body to acclimate to having flown for more than five hours. My wife has this system down to a science. She drinks like a fish pre-flight and during the flight as well. On our last two overseas flights to the IPF World Championships, I think she spent more time in the plane’s lavatory than she did in her seat. When she wasn’t drinking or going to the bathroom, she was tracking down a stewardess for more water. This year I decided I’ve had enough with being disturbed by her frequent bathrooms breaks so I went online to Best Buy Catheter Supply and bought the newest model. Now my only concerns are how we’re going to get it through security and where to put the drainage bag. All kidding aside, she drinks nonstop and I mean nonstop. However, when we land, she’s barely bloated, hydrated, and closer to making weight. If you’re not flying to your competition, the process is a little easier. Continue drinking two gallons of water daily. A good rule is to keep drinking until approximately 12 hours prior to weigh-ins. For example, if you weigh-in at 8:00AM on Saturday morning, cease water intake at 8:00PM on Friday evening. If you shut your water off at 8:00PM, you=ll still have a couple of hours to urinate and lose some more fluid before bedtime. Immediately after the cessation of water intake, eat one whole lemon. Lemons have nearly innumerable functions and increasing urination is one of them. The morning of the competition . . . wake up, go to the bathroom, and if you’re already on location, as in a hotel, then immediately check your weight on the meet scale. Hopefully you’ll be right on or slightly under. If you’re one pound under then you can eat one pound of food and still be safe. Do not drink before weigh-ins. Water is heavy. Two cups (16 ounces) of water weigh one pound. You would rather fuel your body with calories then add weight with water. If you absolutely need to, just take small sips of water to hold you over until weigh-ins. Invest in a small food scale. They’re not expensive and then you can place your food directly onto the scale to see how much you’re eating. For those that have to drive to the competition, if you’re on weight or under you can eat accordingly. Immediately after weigh-ins, start drinking water again. Drink at least 16 ounces of water immediately. Then eat some high energy foods. Focus on quality carbohydrates like oatmeal, apples, apple sauce, or bananas on meet day. Include foods that you enjoy as they are easier to get down if you’re nervous. I love peanut butter and jelly sandwiches on wheat bread. They taste delicious and they’re jam packed with calories including carbohydrates and fats for energy. Avoid sugar-filled and high glycemic carbohydrates like grapes, watermelon, candy, and fruit juices. This will spike insulin levels and lead to a crash. You want carbohydrates that will provide sustained energy. You can eat a candy bar when you get ready to deadlift if your energy levels have dipped and you need a quick boost. There’s no need to concern yourself with protein on meet day. It takes too long to digest and can slow you down. Lastly, it’s important not to change too much on contest day. If you’re not used to eating pancakes with syrup, then don’t all of the sudden eat a short stack before you lift. This could potentially wreak havoc on your stomach. Eat foods that are familiar. After eating your first post weigh-n meal, drink another 16 ounces of water. Then you can introduce sports drinks like Gatorade, Cytomax, or even Pedialyte. There has been research supporting how ingesting a lot of sodium and potassium via sports drinks, immediately after being depleted, can be dangerous. The good news is that if you follow these simple steps of proper hydration and sufficient caloric intake you won’t be dehydrated nor depleted of electrolytes. In fact, you’ll likely be exactly where you want to be. So, in this situation, the sports drinks aren’t dangerous. You can also eat salty foods like plain salt, potato chips, drink a V-8, or canned chicken noodle soups. All of these are ultra high in sodium and will be absorbed quickly so your body will begin to retain more water and then your gear might even fit a little tighter. Overall, the plan is fairly simple once you have an understanding of basic physiology and your body’s response to food and water. Lifters make the process out to be more than it is. If for some reason you get in a bind the last week and have difficulty losing those last few pounds, you can use a mild, over-the-counter diuretic like Absolute Nutrition’s Watershed or Eclipse Shrinkwrap Definition. They are potassium sparing and don’t contain stimulants. As some powerlifting federations prohibit the use of diuretics, always consult your federation’s drug testing policy. The key ingredient in your diuretic is Uva Ursi. Uva Ursi comes from the leaves of an evergreen shrub and is used to treat common urological issues like urinary tract infections, bladder inflammation, and kidney stones thereby having a diuretic effect. Dandelion root is another herb with similar effects. Vitamin B-6 and green tea help too. Under no circumstances should you ever use a sauna, rubber suit, purposely dehydrate, take an enema, or turn to other drastic measures. These are foolish last resorts as they will surely claim almost all your strength. Making weight does not have to be an arduous task and when done correctly you can preserve the strength you trained so hard to acquire. Eat well, drink a lot of water, and make weight the easy way. Then have fun and hit some PRs. Bean, Anita. The Complete Guide to Sports Nutrition, 2006. Hansen, John and Koeppen, Bruce. Netters Atlas of Human Physiology, 2002. I am currently weighing 255lbs. I want to drop weight for health purposes and for a meet on Nov. 7, 2015. I have an idea of how many Cal, Protein, and Fats I will intake for the next 16 weeks but I would like aome insight. Anyone I can email? I train with Shawn Bellon, online coach and he stirs up great programming and guidance. Just looking for knowledge, perspective, some help to lose weight but maintain or get stronger 16 weeka out! Thanks!